We also handle estate planning matters such as guardianships, wills, trusts and probate. The legal system may seem overwhelming no matter what circumstances someone is facing. The attorneys at our law firm are committed to keeping clients well-informed about their options and the potential consequences of any action we may take. This enables them to make sound decisions while at the same time giving them peace of mind because they understand the road that lies ahead. Our goal is to protect their rights as they move through the process. Our founder, Mr. Bible, is a native of our area and understands our clients' situation, especially considering he worked as the DUI prosecutor in Catoosa County for eight years. He also has well-established relationships within the legal community, which is useful when navigating the courtroom or other setting. 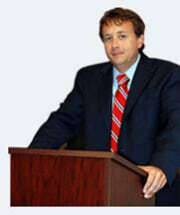 He formerly worked with a public defender's office and has extensive criminal law experience. Shawn Bible Law Firm takes cases in Rossville, Summerville and Ringgold, as well as throughout Chattooga, Dade, Catoosa and Walker counties. We accept credit cards and offer free initial consultations. Mr. Bible did an outstanding job on my case! Although my divorce wasn't easy, Mr. Bible and his staff made the process as easy as possible, not to mention his prices were definitely more affordable than other attorneys. I would recommend him to anyone looking for a divorce attorney!